Rated 4 out of 5 by alexes1 from Lovely challenge there aren't enough games like this, IMO. it doesn't hold your hand, it requires thought and has a story line that makes you want more. many HOS throughout, but they were incorporated in the gameplay so that it felt logical - no wondering why you are sifting through a junk pile in the middle of an adventure. several levels to play on, and many achievements made it fun - and a hint system helps when you get stuck. would love to play the next one. Rated 4 out of 5 by Jem_Jerrica_Guy from Like others have said, vague hint system You don't fight the baddie. This is a training story where one gains their power. This is like one chapter of an entire saga and we are waiting for the next adventure. Great detailed graphics and haunting music, but it was cut short. I would recommend this game ONLY if players are patient to wait for the next one, if there ever is one. Actually I would NOT recommend this game unless the future second one is released and Big Fish customers would buy BOTH TOGETHER. Rated 4 out of 5 by Tikatoy from Good level of challenge At first glance, this game reminded me of Tales from the Dragon Mountain: The Strix (a game I liked) and it is in fact by the same developer. This is not really a HOG. In casual mode you do get a few screens with a list of inventory items that can be found there, but those are locations, not separate hidden objects scenes, and there are very few items to find (although you get to keep them all). Instead, it's an adventure game that's easier than the mainstream adventure games of the '80s and '90s, but tougher than the typical HOPA casual game. Active areas do sparkle (on lower difficulty levels) but they only do so after a delay of about a minute. The puzzles require a little more thought than typical for this genre and sometimes not everything is spelled out for you (although it never gets frustrating). The graphics are simple-looking with what appear to be 3D-modeled objects populating the locations. I generally find this ugly, but it didn't bother me in this game. The story premise is interesting but ultimately the game ended up feeling like a prologue to the real action. Because this isn't a true HOG, the game length is on the short side. Try this game out if you like puzzles/minigames and don't mind the graphics and lack of hidden object scenes. Rated 4 out of 5 by Psychobuddhist from Oh, Cateia I like this game because I dislike adventure games that tell you exactly what to do and where to go; it just takes the adventure out of it. The game played almost like Hotel, but with a decidedly less imaginative story that's taken straight out of the bible. 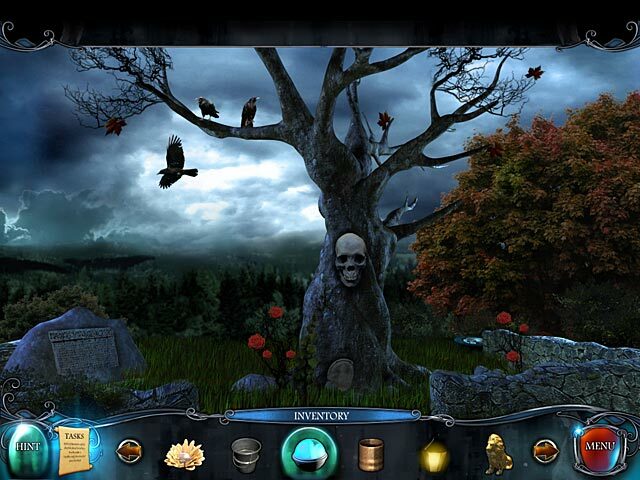 Rated 4 out of 5 by BlackWaterRules from Adventure Hidden Object The storyline was excellent and very dramatic. The voiceovers were very good and very ghostly, eerie and creepy. Hidden objects were okay. There was a bonus and reward for finding all the flowers and roses. All in all not bad. The soundtrack was interesting, a little repetitive at times. Rated 4 out of 5 by fairieverte from Introduction to a new series? This was a fun game to spend a few hours with. It is more adventure than hidden object. Yes, objects are hidden, but within the scenes you are exploring, not some junk pile that you have to clear out in order to receive an item. I thought the game play was fairly straight forward; there were a few times I got stuck, but what was so great was that you could adjust the difficulty of the game while in the game, so in those cases, I just changed my settings and used the hint button a few times until I put the peices together. I loved the music, it was mysterious and changed with each chapter, so it didn't get redundant. The settings were fairly well done, nothing special, but the plot moved forward quickly enough to keep my attention. I also enjoyed the mini games. The only things I found BEYOND ANNOYING were the voiceovers (no wonder they give an "achievement" at the end if you listen without skipping - these were full minutes of yadda yadda yadda) and, to a lesser extent, the fact that it was often hard to navigate between set peices because the "walk" icon was so generic. However, that was nothing to keep me from not enjoying my time. If you have a few hours, are a little tired of your same ol' same ol' HOG, then I'd recommend. Plus, while this is a fully realized, if somewhat vague, adventure, it looks like it may be intended to be beginning of a new series, which I am always on board with. Happy playing! Rated 4 out of 5 by SeaBamboo from Lots to do in this game I loved The Strix & Kaptain Brawe but in this new game from Cateia Games, the storyline is very confusing. Initially you wake up in your bedroom, which you mention doesn’t look like yours & have to find your way to the garden to talk to your mother who seems to be a ghost. After speaking to her I am none the wiser; if there was a journal giving a little more explanation that would help, it could also show you any clues you find for use later. You are given an inventory & a find item list (which as it says shows things to find) & a task list. There are three modes of play; casual with sparkles & a 60 second hint recharge, easy with no sparkles & what seemed to be a 3 minute hint recharge or adventure with no sparkles & no ‘find item’ list. The hint was not very useful as it just highlighted areas that I already knew needed something, a key for a lock for instance. 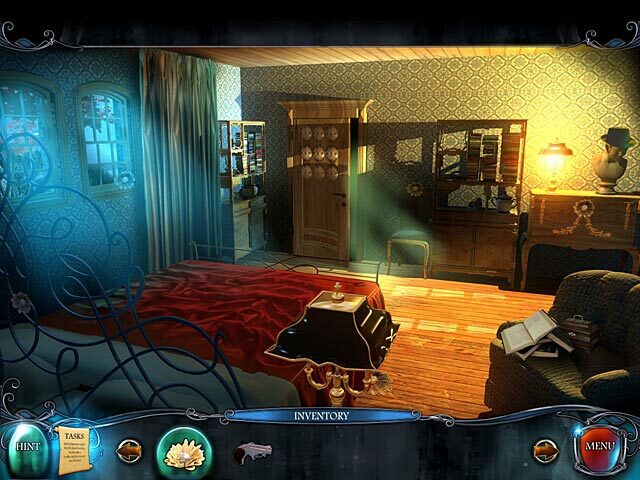 This is not a conventional hidden object, instead you find objects scattered around the scenes as you play so it is more of a light adventure. In fact I found so many items that my inventory filled up very quickly before I had an idea of what to do with most of the things I found. A bit of a clue on the mini games would be useful as I had to skip a couple simply because I did not know how to solve them. There are lots of achievements to get & also 21 roses to find, I am always a sucker for this type of thing. In addition I loved the artwork, I got used their style in earlier games, the background sounds & the music, they really suited the game. This is a game that is not too easy & will require some brainwork, excellent. Rated 4 out of 5 by Kriskippers from Fun Adventure Game Red Crow Mysteries: Legion is precisely my kind of game. Because adventure games are my first love, I was thrilled that Cateia Games offered an adventure mode along with Easy and Casual options. As with many adventure games, in the beginning the main character finds herself in a confusing and frightening situation. I was immediately drawn in and the story line held my interest throughout. Puzzles vary from those on the easy side to those that take some real brain power. True to the adventure game genre, the game provides little hand-holding. Figuring out what to do next is part of the fun. Graphics are in keeping with the game's theme. There are voice overs and they are very nicely done. Music was quite nice in places and generally unobtrusive. Just a couple of things would have made the game even more immersive. A journal would have helped to both develop the character and keep track of information. I also would have enjoyed the opportunity to view close-ups of photos the character came across and learn more about her background during the course of the game. For example, when in her aunt's house, we see several photos laying on a desk. It would have been nice to view a close-up of one or two and read or hear a description, such as "This is a picture of me and Aunt Mildred." Small touches like this help to flesh out a character, particularly when it looks like she will be having another adventure in the future. I hope she does, because I am very much looking forward to the next Red Crow Mystery. Rated 4 out of 5 by Robsim from More of an 'Adventure' game than 'Hidden Object' This game is developed by Cateira (new/indie?). 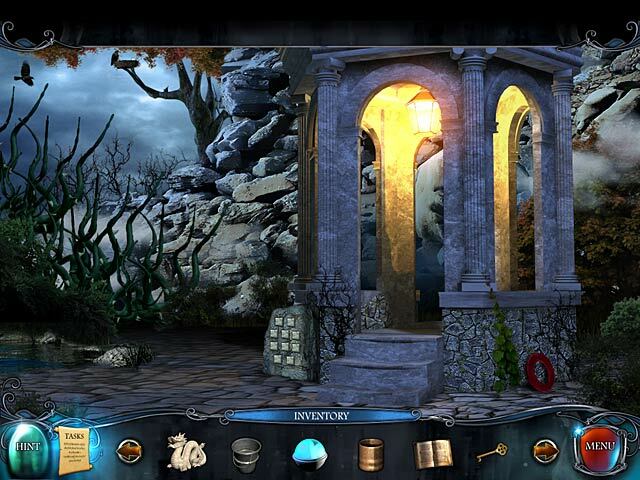 It's more adventure than hidden object, somewhat different than what most are used to, yet VERY engrossing. You are the main character being put through a test (locating objects, using them where necessary, etc.#, by the spirits of your [deceased] mother and grandfather, as you're next in line to defeat the world's invisible enemy, Legion #unfortunately your mother and grandfather were defeated by him#. The graphics had somewhat of a grainy effect, but not overwhelmingly so #very colorful and not dark). There are voice overs and quite a bit of reading. But also know that there are achievements and the 'reading' is one of them. There also are quite a few new and challenging puzzles in addition to the standard fare. This game could probably qualify as a Collector's Edition, and I could see there being a second/followup game. All in all, many of you should enjoy this one. It has its challenging moments, but is definately worth it. Rated 4 out of 5 by Cuddlefish from Rebirth of the adventure game Well thought out presentation and difficulty choices. Plot stirred my interest and I would like to know what happens. The first major puzzle was quite "out of the box" and as such quite difficult. After that I started to get the idea as to the thought process of the developers. Excellent game play. Some of the puzzles quite difficult. You have the ability to pick up anything useful and then figure out where or what to use it as. I didn't like the puzzle directions much and could have used a bit of help to understand what I had to do. The hint button was not helpful at all. there is a task list which is excellent. A diary or journal would help as there is no place (but a pen and paper by the computer) that will remind of what you are looking for. Graphics were fine by me. I don't need the eye candy and had no trouble finding the objects I was looking for. All in all, I heartily recommend this game to people who enjoy adventure gaming. Rated 3 out of 5 by charlene_lane from FIGHT THE LEGION This is a very challenging game, so get out your old notebook cause you're going to need it. There is: * Easy, Casual and Adventure modes of play; * Voiceovers (with dialogue); * 20 Achievements; * Find 21 Roses. The graphics range from being poor to okay. However, I could find items I needed. There is plenty of colour, but I wish the graphics had been more sharper. Sound is good and the music is orchestral. The mini-games are mostly very challenging and take a while to do each one. I had my notebook with me to write things down just in case it was of relevance. In all honesty I didn't like them very much - not because they were challenging - but I didn't enjoy doing them because they were taking so long which became frustrating. I got about 4 hours into the game and then it started to glitch big time and kept coming up with errors and throwing me out of the game. So, after numerous attempts to get around them, I just gave up. I'm now going to delete it and move on to the next game. I hope you have better luck than me in getting the game to work properly. I don't normally have any problems, so I'm putting it down to this game alone. Rated 3 out of 5 by LunaNik from It had promise, but was too easy and too short. 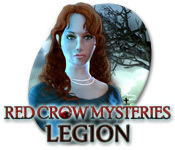 Red Crow Mysteries: Legion Developed by Cateia Games Review based on full game IN THE BEGINNING... You have a gift that runs in your family, and can see things other can not. Now you are to be put to the test to see if you are worthy to defend mankind against Legion in the ages old battle of good and evil. PLAY THE GAME... Legion is purely an adventure game, but quite "lite." In each scene, you're told what inventory items you need to find, and none are difficult to discover. The puzzles repeat several times, and none are hard…or original. Cateia is on the right track, but needs to step up gameplay for us FPA lovers. SIGHTSEEING… The graphics and animation are decent, reminiscent of classic adventure games. They are realistic but artistic. Colors and tones reflect the mood of each scene. SOUND WAVES… The music was well done, although I wish it had been more ambient and less melodic. It did not, however, annoy. Voiceovers were professional. TOOLBOX… There was no map, and navigation was rather spotty. There was also no journal, which is pro forma for a FPA, and you will want a paper and pen to take a few notes. THE LAST WORD… The storyline was intriguing, but not presented well. Legion was presented as urbane, but was not at all frightening. Frankly, the game was far too easy and much too short. The ending was abrupt and blatantly points to a sequel, but I'm not at all sure I'm interested. Considering we get so few true adventure games, I'm disappointed. Rated 3 out of 5 by denniann2 from a so-so game i didn't really enjoy this game very much. it is very challenging and i like a game i can just sit down and play. it took awhile for the hint and skips to charge. there is no journal or map. the hint button gives just that....hints. not very helpful. i played on easy mode. Rated 3 out of 5 by technocratee from Fun Game An adventure game, no HO scenes. I like HO's but to me they are mini games. Reminds me of Kuros, Milennium Secrets, Hotel by Cateia Not the really nice super quality of ERS Games and other developpers, not excellent but good enough to have a pleasant game experience. Rated 3 out of 5 by usfreedom from Disappointing After pulling my hair out during some of the chapters, the ending was not at all good. The puzzles weren't real difficult, but finding the items you needed to continue the game was frustrating. I hope the next installment is better than this one. Rated 3 out of 5 by huntinchick from Way too short!!! Great story line and difficult on some of the games. But way to short of a game. Rated 3 out of 5 by Rebr2009 from Awful purchase At the beginning it seems interesting, so I bought! But it gets confused and I felt lost. I love challenging puzzles, adventure and HOG games, but this is discouraging... hints are not helpful, the inventory gets full and I don't know where or how to use. I regretted purchasing. Rated 3 out of 5 by eedebeep from with more work this could have been a great game MINOR SPOILER I'm surprised the developers didn't put a little more work into this, could have been a good CE. The puzzles were so easy as to be laughable, I mean " order the numbers from 1-10" and they are already in order? Finding objects couldn't have been easier, they were in plain view. The dialogue was tedious and took forever to get through ,ok we get it- she's the most gifted person EVER. By the way, why do most of these games have women as the heroes and men as the villains? At least the length was good for an SE. I wanted to give it 2.5 stars but can't, so went with 3. only recommend for the most inexperienced hidden object/adventure game players. Rated 3 out of 5 by Ginlee from Enjoyable Adventure Game I enjoyed playing this game after the second time I opened the game to play. The detail was not the best for finding items but after 'getting into the game' I was able to figure out what was needed. This game is the only one I purchased of the Adventure - Hidden Object Games that have come out this past week or so. The graphics are OK, it reminded me a little of the old Adventure Games. I liked the plot, with a little work this could have been a great game. Rated 3 out of 5 by georgieandharry from Dull I only played part of the demo before giving up. I found this game to be extremely dull and I don't like the graphics. A bit too cartoon like for me. I tried to skip a puzzle but the skip button didn't work. I had to exit to find a walkthrough to get past the puzzle. As others have mentioned, a journal would have been helpful. Rated 3 out of 5 by heartless500 from Adventure lite style game Altho this game is listed as a "Hidden Object" it is more of an adventure lite/puzzle game. there are no junkpile h.o. scenes to deal with, you find objects in the various scenes as needed - some of which are pretty obvious. Controls - quite a few options in there, including different difficulty levels, volume controls (including a master, music, voice and effects) sparkles on or off, full screen, & custom cursor The story line is intriguing - at least it was to me, and kept me fairly interested. However, I would have liked to have seen a "next" button for the dialogue (i read pretty fast) as i felt it was dragging a bit. your only options during these scenes is to skip completely (which causes you to miss out on more of the story) or sit thru it - however long it takes. a bit of going to an fro to complete various tasks (there is a task list) and at times it is not real clear what it is you are supposed to be doing or you have an idea of what you need to do, but you dont have a specific item needed, and no earthly idea of where to go to get the item... the hint system is not all that helpful - in fact, it can be down right misleading at times giving a "sparkle" in an area you have already cleared the ending of this game is a bit of a letdown as well - I felt like there should have been more to the story the game does have acheivements, but in all honesty - those dont do anything for me unless they actually unlock a bonus of some kind - such as being able to replay various puzzles or something similar. overall, I feel the game was ok - but not a prize winner. Rated 3 out of 5 by kandikc from Kind of Blah I got the game because it had Achievements, which were ok. By the end of the game, I was getting pretty bored of it. Rated 3 out of 5 by DesertHumingbird from it was ok I love hog's but this one, can't give it 5 stars, although it was challenging, I need a hint now and then but really no help with hints on this game. Had alot of inventory items but had no clue what to do with them. Thought the graphics were good. I would not buy this one or play it again. Different strokes for different folks! You may like it! Rated 3 out of 5 by Duffy_Family from If you have nothing else to do then play. It's an ok game with an ok story! Nothing to write home about! Rated 3 out of 5 by pfalzes from Nothing to write home about. This game was really not that challenging. Rated 3 out of 5 by ALVALICIOUS2004 from RED CROW MYSTERIES HINTS ARE NOT VERY HELPFUL, ALL THE HINTS DO IS INDICATES AREAS THAT NEED SOMETHING TO BE DONE.